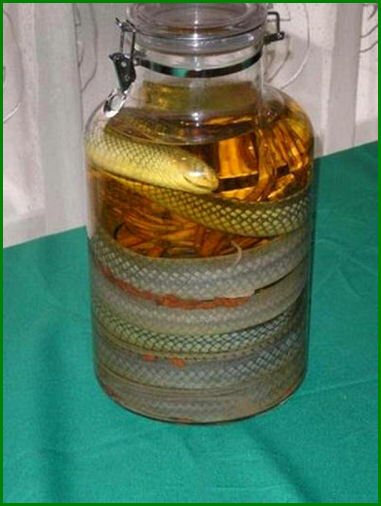 Snake wine – for someone literal interpretation of the “green dragon”. 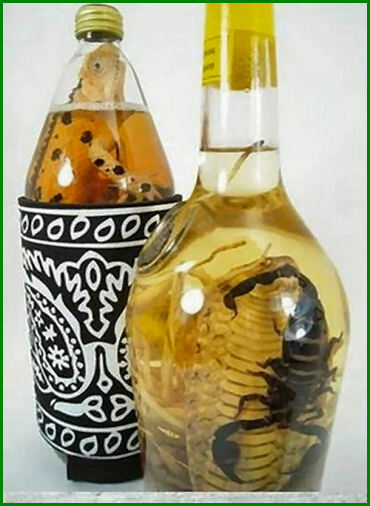 Is an alcoholic beverage, a feature which is a poisonous snake in the bottle. 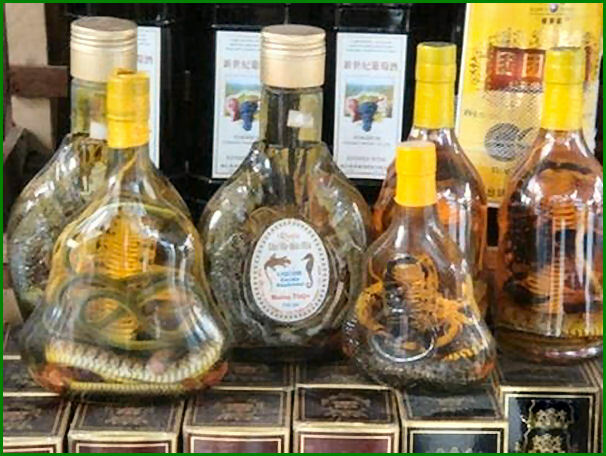 Snake wine originated in Vietnam. 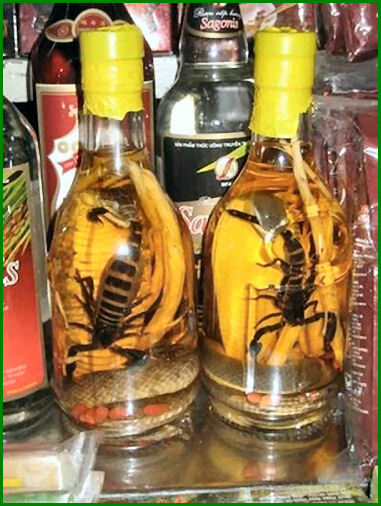 And from there spread throughout Southeast Asia. 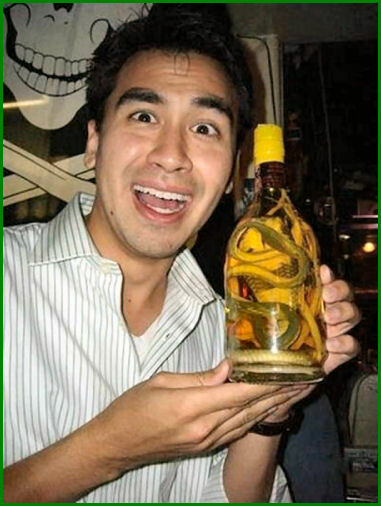 Peak is a popular drink in Japan reached. 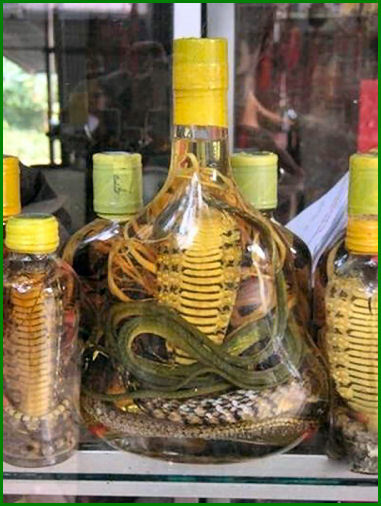 They say if the snake wine has healing properties, cures everything and full of happiness, increased sexual activity. 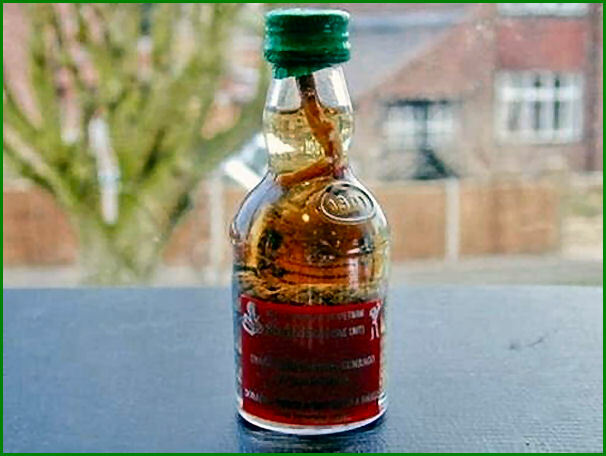 Of course, all this should be seen as a joke. 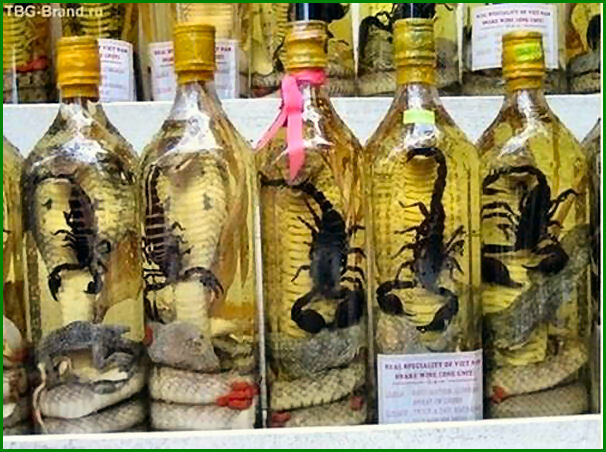 All of this invented sly marketers to attract customers. 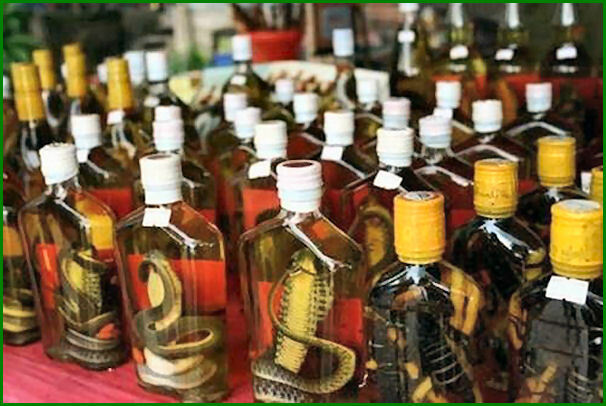 However, foreign lovers of thrills and spirits like to visit the snake restaurants. 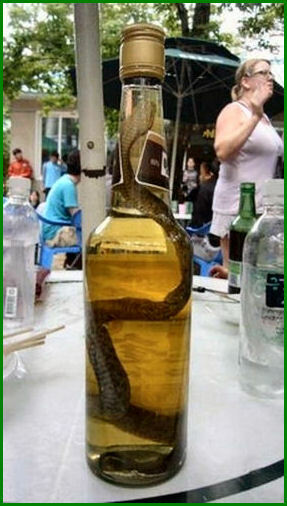 After import snake wine is banned in many countries. 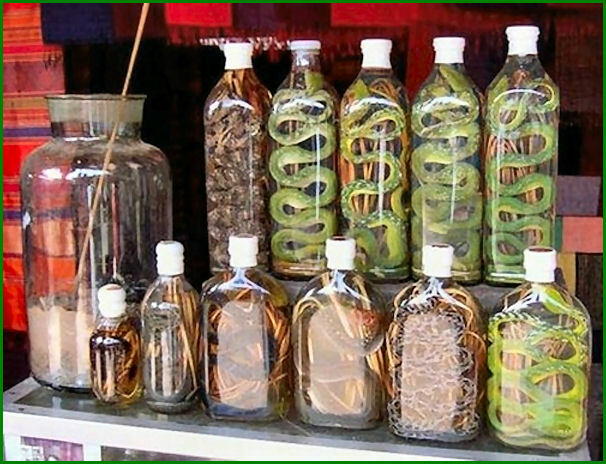 For the reason that used for its production of cobra and other rare endangered species of snakes. 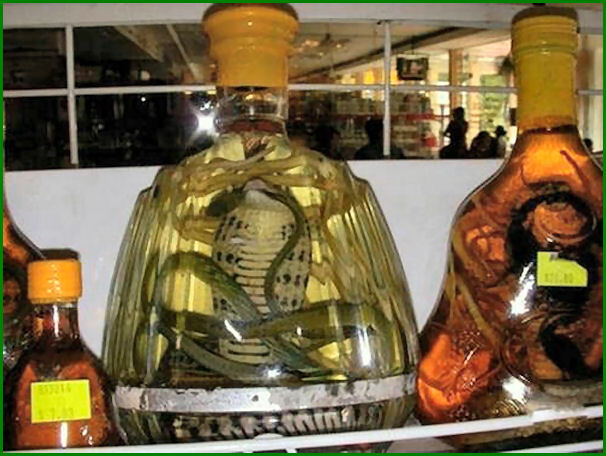 Snake as the main ingredient of this wine is usually not appreciated because of their meat, but because of the snake venom, dissolved in alcohol. 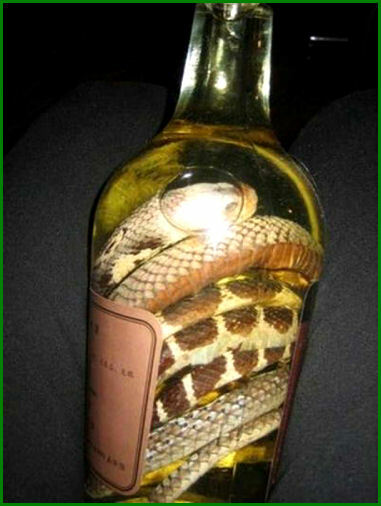 It is thought the wine is better than the snake is poisonous. 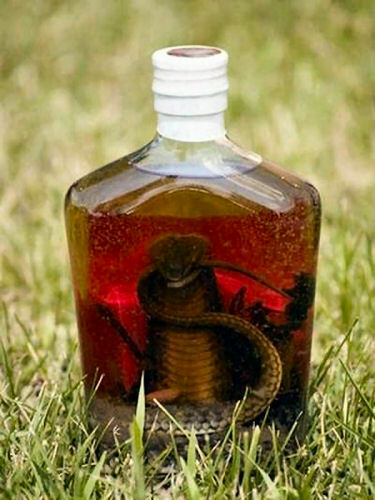 However, the poison should not be afraid. 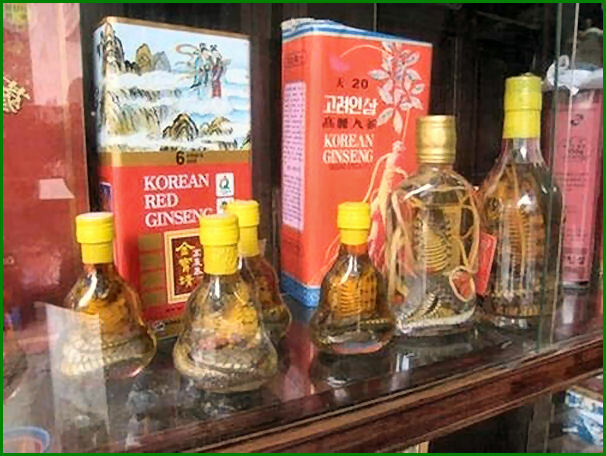 Snake venom is protein based and deactivated under the influence of alcohol. 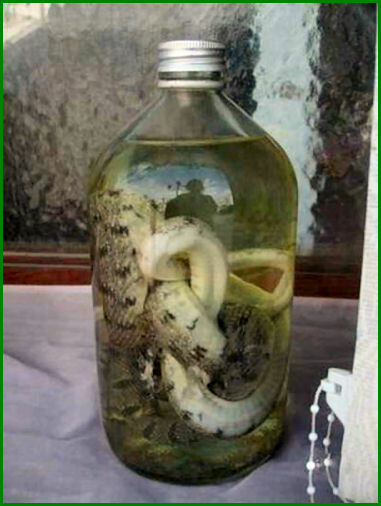 This drink is prepared in this way: take a large poisonous snake placed in a glass jar of rice, with many small snakes, turtles, birds, insects (specific set depends on the mood of the winemaker) and left to ferment for several months. 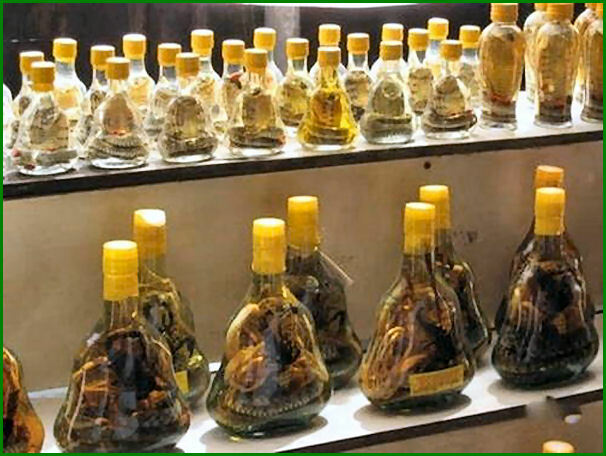 The wine then drink small sips or small cups.